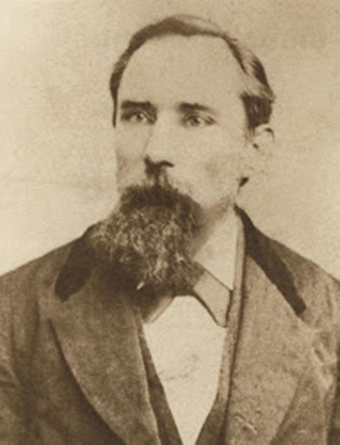 John “Black Jack” Kehoe, the last of the Molly Maguires, was hanged on this date in 1878 in Pottsville, Pennsylvania, ostensibly for a cold case murder with such flimsy evidence the governor was extremely hesitant to sign the death warrant. In reality, he was to die for encouraging the Irish immigrants working the Pennsylvania coal mines to organize in order to acquire better working conditions. The inspiration for the Molly Maguires’ name goes back to 19th century, Ireland, and an widow who fought against English landlords stealing Irish lands. She was the leader of a group called the “Anti-landlord Agitators” who often got into hand-to-hand combat with their oppressors to keep their lands. The group’s notoriety soon spread throughout Ireland, with the name of their organization after their fiery leader, Molly Maguire. During the mid-19th century, a huge number of Irish fled their native country for America hoping to escape the Potato Famine, as well as the poor working conditions. Unfortunately, most of them found conditions in America comparable to those they left Ireland to escape. For those who found themselves in the anthracite coal area of eastern Pennsylvania, the men working these mines were laboring under the most dangerous conditions imaginable. The fact that there were virtually no mining or labor laws in place, didn’t help either. The Ancient Order of Hibernians was formed to ensure the Irish workers were not mistreated on the job, but many believed this organization was a front for the Molly Maguires, who accomplished their goals with “strong-arm” tactics. Despite the AOH and the Molly Maguires’ ceaseless efforts to improve the deplorable working conditions of the Pennsylvania miners little progress was made, and in 1875 “The Long Strike” against the coal companies began. “The Long Strike” was the first major strike in Pennsylvania’s anthracite coal region, and the coal companies did not take it well. Violence broke out – both sides giving as good as they got. Finally, the coal company hired a private police force whose sole duty was to eliminate “violent” strikers. An Irishman from the Pinkerton Detective Agency infiltrated the AOH, resulting in the end of the strike and a trial that ended with 20 men being sentenced to hang in 1877. John Kehoe had worked in the mines for several years before opening a tavern and becoming a well-liked and successful businessman. Although his mining days were behind him, he did not forget those he had toiled with deep in the bowels of the earth, and rallied the workers to unionize. This did not endear him to their employers. Kehoe was active in the Ancient Order of Hibernians, and was said to be the King of the Molly Maguires. Since it was open season on the Mollies, Kehoe was condemned to death on charges so bogus the governor only signed the death warrant so the Molly Maguires would be hunted to extinction. His death signified the death of Molly-ism. Kehoe’s great-grandson, Joe Wayne, led the fight for John Kehoe’s name to be cleared, and Pennsylvania governor Milton Shapp pardoned him, declaring the long-ago trials a “miscarriage of justice.” Joe Wayne runs his great-grandfather’s tavern “The Hibernian House” in Girardville, a popular watering hole for anyone interested in learning about the Molly Maguires or their Irish ancestry.